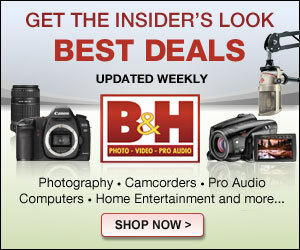 The Micro 4/3 system gained a great selection of lenses in 2012, with an emphasis on the high end. The system saw the release of system stalwart zooms in the Panasonic 12-35mm f/2.8 and 35-100mm f/2.8, and Olympus released two of the best prime lenses for any system in the 75mm f/1.8 and 60mm f/2.8 Macro. In addition, several third party manufacturers made some very interesting and some not-so-interesting optics. 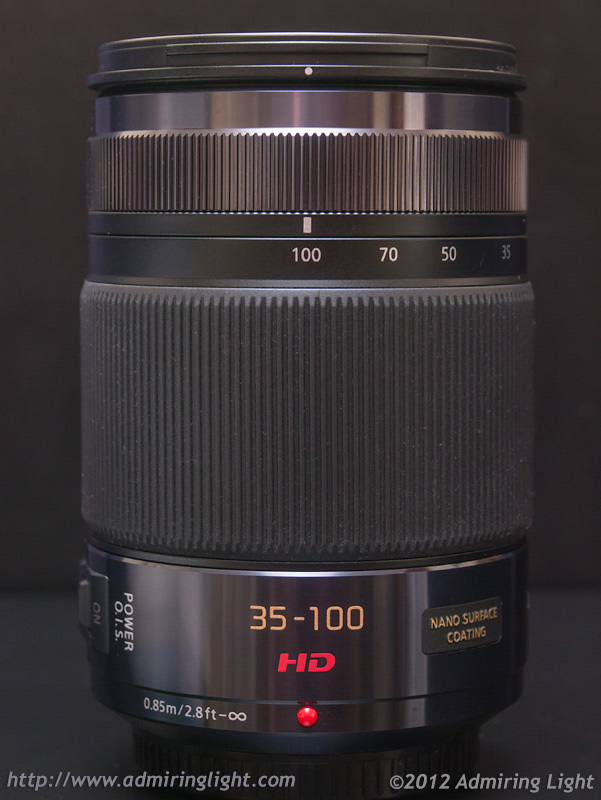 Lens of the Year: Panasonic Lumix 35-100mm f/2.8 X OIS. This was an extremely difficult decision for me to make, and I quickly narrowed the field to two lenses: The Olympus 75mm f/1.8 and the Panasonic 35-100mm f/2.8. In fact, I was so torn that I considered splitting this into ‘best zoom’ and ‘best prime’. 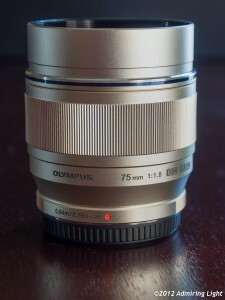 The 75mm is arguably one of the best optics made for any system. This would seem to make it a lock, and if it were simply a ‘best lens’ designation, it would have taken the crown. However, it’s of limited overall appeal to many photographers, and will have nowhere near the impact on the system as will a fast medium telephoto zoom. And since the Panasonic 35-100mm f/2.8 delivers, and delivers big, it is my choice for Admiring Light’s Lens of the Year. The Panasonic 35-100mm f/2.8 (review here) takes its place in the Micro 4/3 lineup as the first constant f/2.8 telephoto zoom, and has the same field of view as the workhorse 70-200mm f/2.8 lenses for full frame cameras. The lens has a metal weathersealed build with internal zooming and focusing, optical image stabilization and that fast aperture. Though large for a Micro 4/3 lens, the 35-100mm f/2.8 is very small compared to its full frame brethren. At 1/4 the weight and half the length of a 70-200mm f/2.8, it could be considered downright tiny. The lens is very sharp with fast, accurate autofocus, good color response, very good chromatic aberration control and decent bokeh at the longer end. And ultimately, it’s an exceptionally useful range. I have found myself relying far less on my excellent primes in favor of the 35-100 simply because of the much greater flexibility in shooting, while maintaining very high output. A fast medium telephoto zoom is a must have lens in any serious camera system, and finally that void is filled in the Micro 4/3 lineup. It’s a lens that could bring a lot of high end shooters to the system. Ultimately, I realized that if I could only have three lenses in my bag, this would be one of them (the others would be the Panasonic 7-14mm and the Panasonic Leica 25mm f/1.4). I actually think three lenses deserve to be mentioned here. 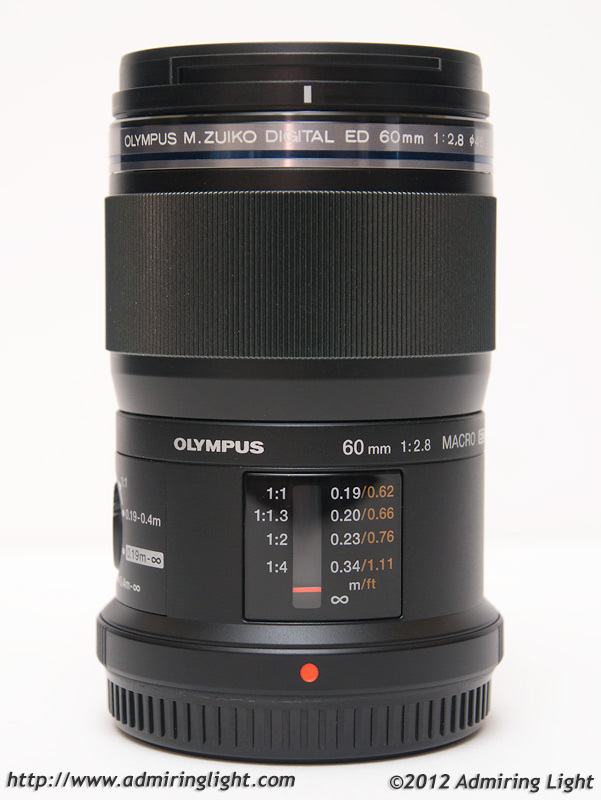 The first is the Olympus M.Zuiko 75mm f/1.8 (review here). This medium telephoto prime, equivalent in field of view to a 150mm lens on full frame, is quite simply one of the best lenses I’ve ever had the pleasure to use. It stacks right up there with the legendary Canon primes like the 85mm f/1.2L or the 135mm f/2L. The lens is beautifully crafted out of silver metal, and there’s only one word for the optics: Superb. The 75mm f/1.8 is one of the sharpest lenses I’ve ever used, and it starts that way straight from f/1.8. Stop it down just a little and it becomes absolutely razor sharp from extreme corner to extreme corner. The bokeh doesn’t suffer either: The lens produces a beautiful, creamy bokeh and rich vibrant color. The only flaw is a small amount of longitudinal chromatic aberration and a little purple fringing on high contrast subjects wide open. Even then, however, it’s controlled better than most fast telephoto lenses. Only the 75mm f/1.8’s more specialized role kept this lens from nabbing my top spot in this year’s roundup. If you have a need for a lens in this focal range, you’d be hard pressed to find anything better on any camera system. Olympus also released its first Micro 4/3 macro lens in 2012, and they didn’t disappoint. The 60mm f/2.8 Macro (read full review here) adds a macro lens to compete with Panasonic’s excellent 45mm f/2.8 OIS. Thankfully, they also made it longer to give some differentiation, and they kept the price reasonable at $499. The 60mm macro is stunning optically, matching the very best macro lenses I’ve ever used (including the Canon 100mm f/2.8L IS Macro and the Sigma 150mm f/2.8 EX Macro). The lens is tack sharp and has very nice bokeh and a great color rendition. Fast autofocus and a weathersealed body make it a great all-purpose lens to add to your kit. And last but not least, Panasonic’s other f/2.8 zoom deserves individual mention here. In June of 2012, Panasonic released the first f/2.8 standard zoom for Micro 4/3 in the form of the 12-35mm f/2.8 X OIS (full review here). The lens features a weathersealed build and an optical stabilizer, plus a robust body with great optics. The lens is sharp from wide open and has a very nice drawing style with good bokeh and nice color. It isn’t without its flaws, however, being relatively prone to flare and exhibiting a little chromatic aberration and distortion. 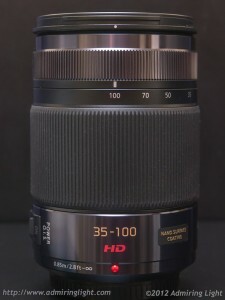 Still, this lens is highly desired by many people in the system, and it is great to have a capable pro-grade standard zoom lens in the Micro 4/3 system. Third parties started getting involved a bit more in 2012. Voigtlander released the outstanding and unique 17.5mm f/0.95 manual focus lens, featuring a crazy fast f/0.95 aperture. I reviewed the lens in August, and found it to be surprisingly good and extremely fun to shoot. While a niche lens due to its large size, completely manual nature and high cost, it is a great optic and a great addition to the system. This year also saw the release of two lenses from Sigma for the system. While the 19mm f/2.8 EX DN and the 30mm f/2.8 EX DN are underwhelming from an aperture and range standpoint, they provide great value for the system because of their low cost and high optical quality. I haven’t had the chance to use the 30mm yet, but the 19mm f/2.8 is a little gem of a lens. It’s sharp, focuses fast, built well and has a very nice rendering to it. While those who want a smaller lens and faster aperture will no doubt be drawn to Panasonic’s excellent 20mm f/1.7 if they have the money to spare, the Sigma 19mm offers great value, as does its longer brother. It would be nice to see Sigma release some lenses that aren’t just ported over from designs made for Sony’s NEX. Olympus released one other major lens in 2012 with the 17mm f/1.8. Early reviews are a little mixed. Technical reviews show it to be a little underwhelming in the resolution department compared to Olympus’ other recent offerings, but most real-world reviews I’ve seen are showing it to be a very capable lens with some nice characteristics. 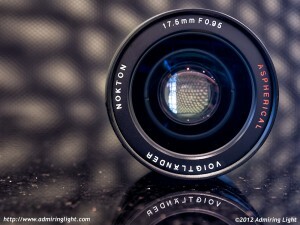 With a fast aperture and solid metal build, there is certainly a large market for this lens. Among the rest of the lens releases for the system include the Olympus 15mm f/8 body cap lens, yet another slow telephoto zoom retread in the Panasonic 45-150mm f/4-5.6 and the long, small Tokina 300mm f/6.3 mirror lens. Overall, it was a great year for lenses for Micro 4/3.